I’ve talked a lot about the kids on this blog, but realize that I haven’t included any photos. It’s not that I’m opposed to images of the kids, it’s just when I start writing, my mind is somewhere else. I’m thinking in words, not pictures. 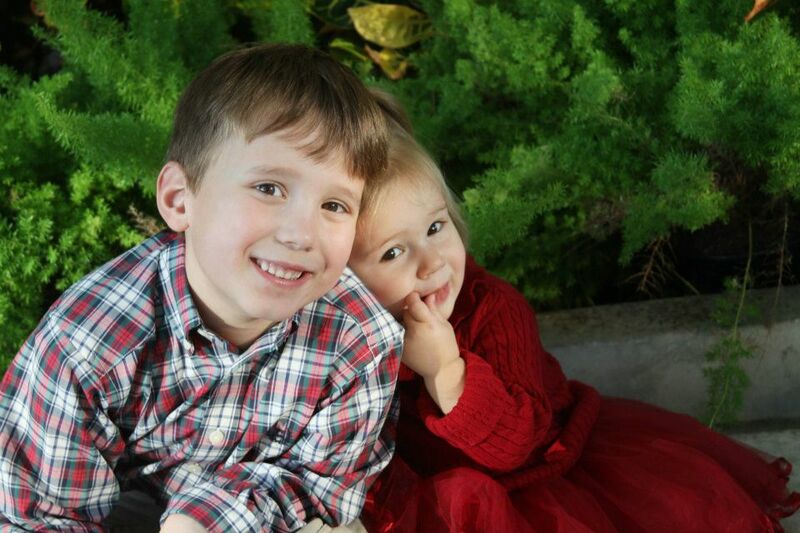 Here’s one of my favorite photos of the kids taken in the last year. We were at the Jewel Box in Forest Park (St. Louis). Ethan was incredibly cooperative that day – he was posing and posing and posing like crazy. Lauren wanted to run, wanted to do anything except have her picture taken. This shot was toward the end of the session, Lauren too tired to run and Ethan finally sitting still also. Both kids would be asleep in the car 20 minutes later. I love them. They are so adorable!